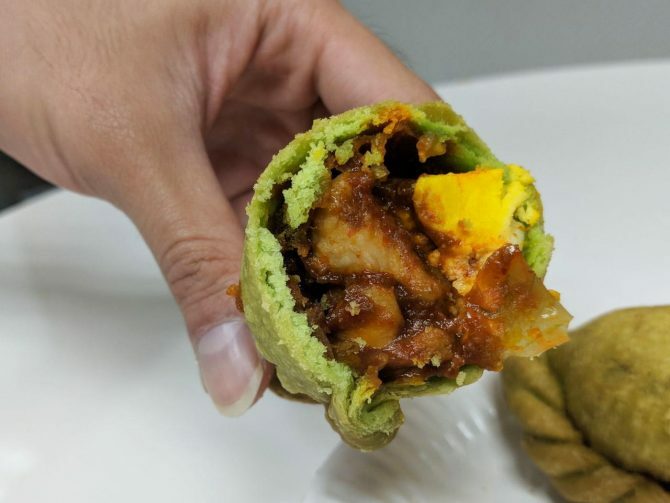 While the rest of us were caught up in the frenzy of McDonald’s highly-anticipated Chocolate Pie, Old Chang Kee quietly launched its new Nasi Lemak Chicken’O curry puff on the exact same day. Perhaps vying for the same attention the fast-food giant has been getting, the local snack brand may have perhaps re-ignited the simmering Nasi Lemak trend (also started by McDonald’s) by cleverly combining its beloved curry puff and the traditional Malay dish together. And of course, we had to try the puff for ourselves. 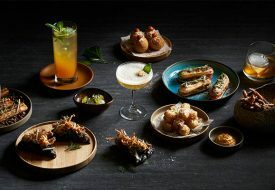 But when we arrived at the nearest Old Chang Kee outlet in the morning, the staff was just only frying a new batch as the previous puffs were all sold that. 15 minutes later, we got our hands on a pair. 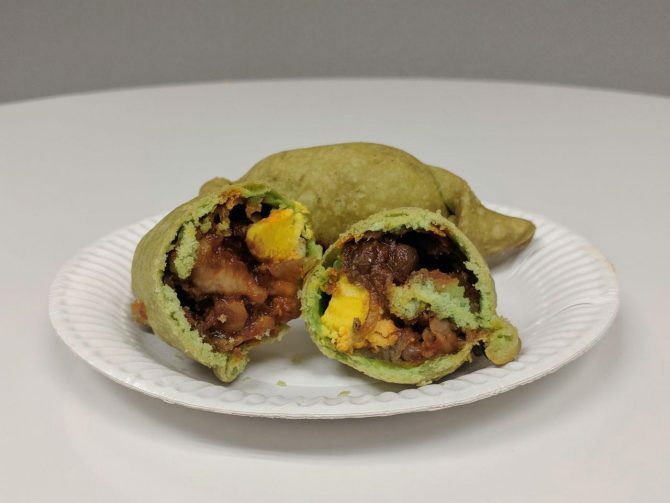 Right off the bat, the Nasi Lemak Chicken’O puff looks just like the original variant, but just in a shade of slightly offputting green. The colour is due to food colouring and pandan essence. A gentle wisp of steam was observed when we cracked open the pastry crust, revealing Nasi Lemak suspects of hard-boiled egg wedges, chicken chunks, ikan bilis and peanuts, all drenched in, what we can assume, sambal sauce. The Nasi Lemak puff tasted surprisingly delightful, with its defining factor being the fragrant sambal sauce. For those who like heat, the puff may be of a disappointment as its spiciness was close to nothing. Instead, the deceptively firey-red sauce is on a sweeter side. Aside from the egg and very tender chicken chunks, the puff comes with traces of onions, along with the compulsory ikan bilis and peanuts to stay true to the Nasi Lemak dish. We only wished the ikan bilis and peanuts were crispy and crunchy, as the former was limp like noodles and the latter rubbery. Oh, and we couldn’t taste any pandan from the pastry. Overall, we’re still loving the Nasi Lemak Chicken’O – a perfect midday snack for those who can’t commit to a whole Nasi Lemak burger, but still have stomach space for a single puff. The Nasi Lemak Chicken ‘O ($2 for one, $3.50 for two) is now available at all Old Chang Kee outlets islandwide, while stocks last.